You don’t need to be old to share your skills and knowledge, nor old to be ‘elder’ like. In some cultures it takes a lifetimes work to become an elder in others maybe a little less: a body of knowledge to share. There are Primary Schools, High Schools, Universities and Technical Schools. We move through these to gain skills and knowledge and to build links with skilled teachers. Formal education has its place and can offer an empowering experience. But what of informal teaching? 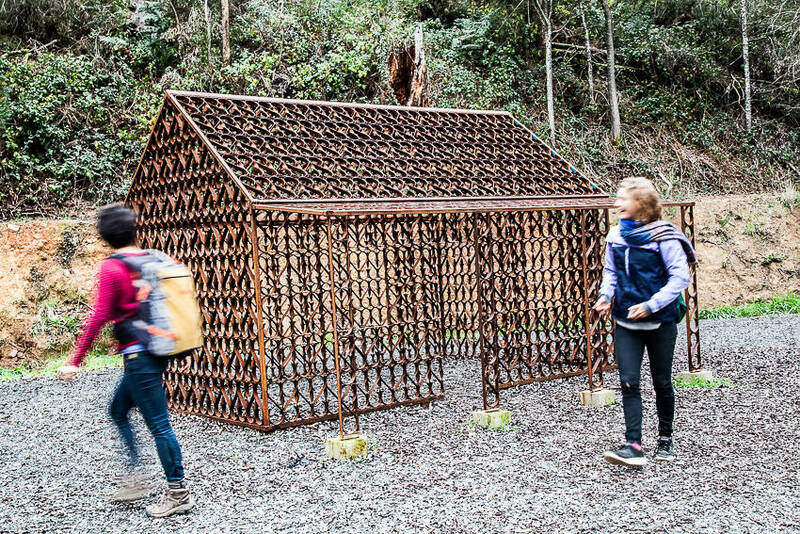 Such as an uncle; a weaver of textured fabrics sitting in his studio weaving wonder, knitting scarves and jumpers for his family and friends. An aunty; bending hot metal into shapes, twisting rusted iron into gates and ornaments, forging sculpted spoons for the table. 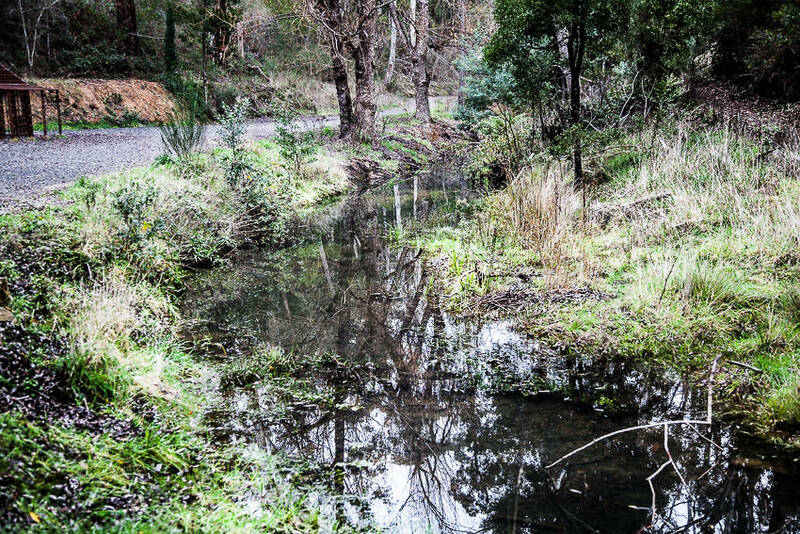 A family friend; a bush walker with a passion for trees and wild flowers spilling Latin names at every conversation, pointing at plants with vigorous zeal and shouting Lepidosperma curtisiae! like a wizard. The educational value of these informal encounters is enormous, undervalued at times and completely absent for some. And yet we need them like we need air. We need them like we need water. 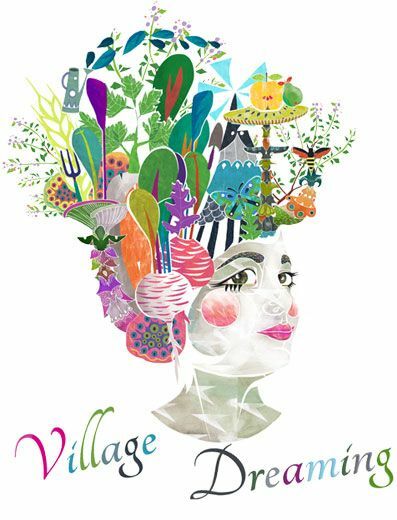 We need to passionately, fluidly, generously, with kindness and with care share our knowledge and skills so that our communities can be vigorous, vibrant, dynamic, healthy, and resilient. We need to multiply an individual’s access to opportunities for learning lifelong skills. Skills that turn our hands into makers of beauty. Our minds into baskets of languages. My daughter will start high school next year and I am thinking and thinking. I am thinking about algebra and kinetics, geometry and probability; grammar and essay writing. These skills will have value…will help her a little, will help her a lot? What will she walk away with; something tangible? Sooner or later? When her exams are finished and dusted what will she feel? What has she learned? From prep to year twelve, thirteen years of eight hour days. I struggle with school curriculums. Most parents do? All parents think they know better than schools don’t they? What has this got to do with mushrooms? I have not even mentioned mushrooms so why mention them now? What will she know of the world around her? Can she read the landscape? Can she read the sun? Can she weave herself a scarf? Can she cook herself a meal? At college I shared a kitchen with a young man who asked me to help him complete the steps for making Two Minute Noodles. Will she know how to read the health of soils? 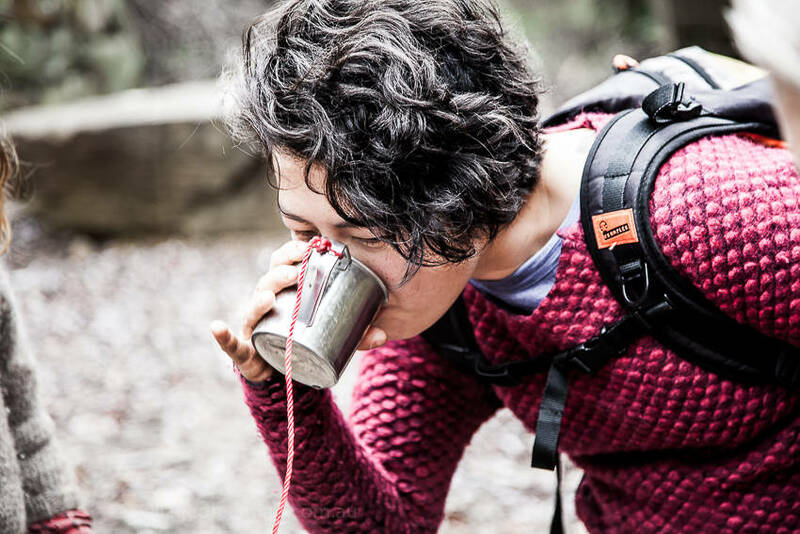 Can she navigate a walking track? Can she grow a seedling? Know the workings of that seed? Where watercourses flow and where rivers are made? 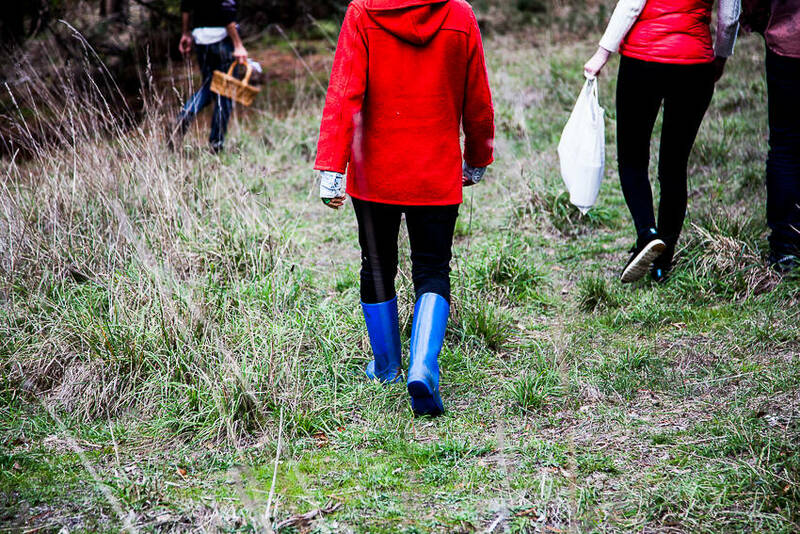 Can she forage for mushrooms edible and present in winter to fatten her larder? 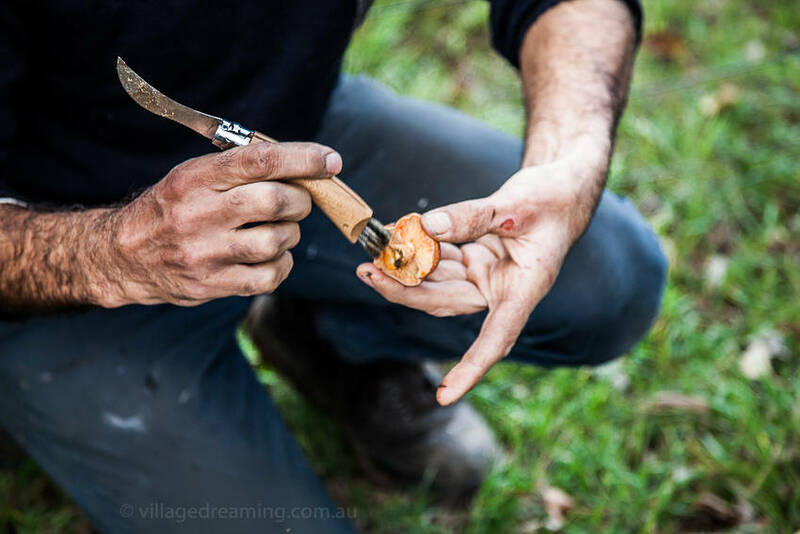 Last Friday I went for a walk with Patrick and Meg to learn how to forage for edible mushrooms. 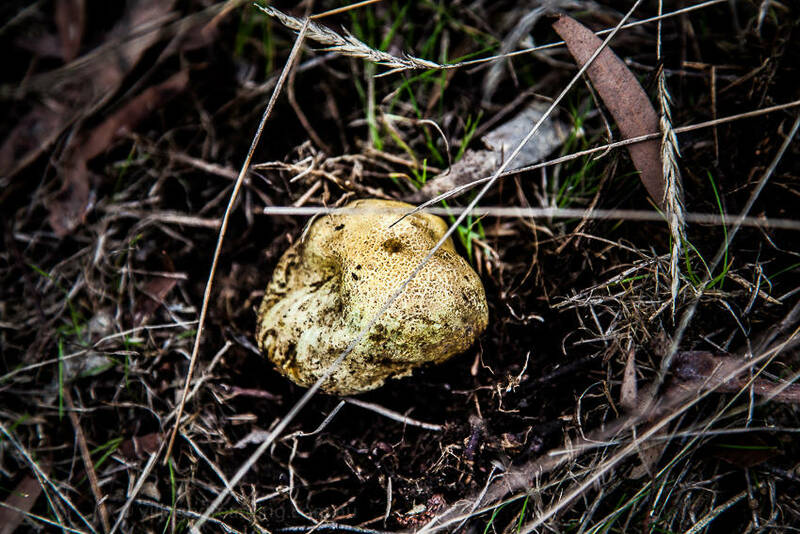 When we bought our 15 acres in Blampied over four years ago I came across Alison Pouliot’s fungi images on Wombat Forestcare’s Fungi of the Wombat Forest and Macedon Rangers guide. 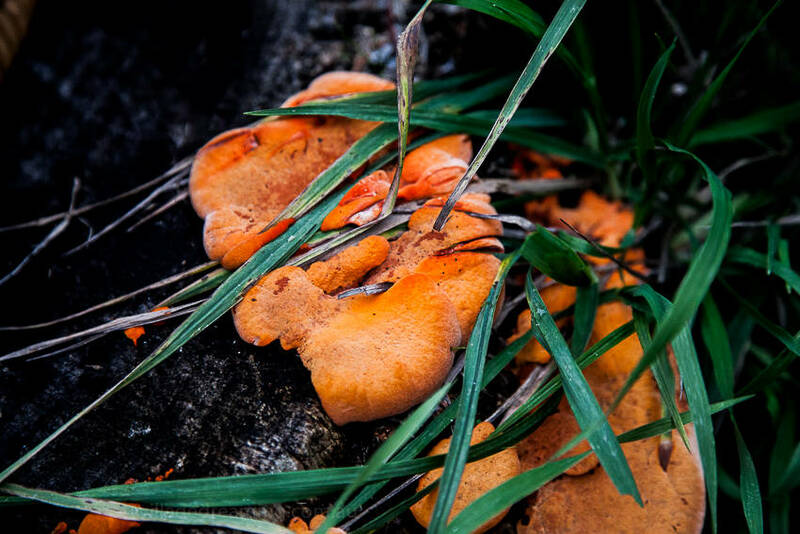 The guide had been created to raise awareness of the beauty of fungi and their ecological importance as nutrient recyclers: fungi make it possible for plants to access nutrients from soil through a complex symbiotic relationship. This being one of its many roles. The images triggered in me a culinary cue. 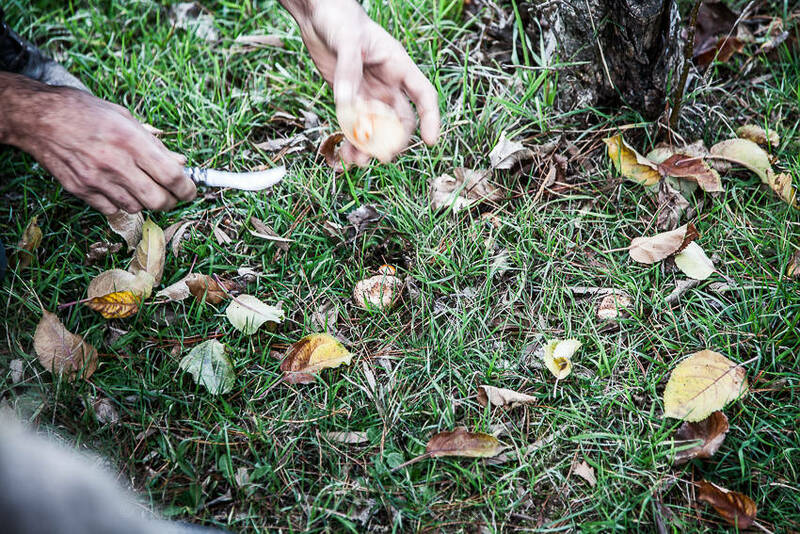 If the area was bestowed with mushrooms then among them must be edible ones too. I searched to see what books I could find on the subject that explored species growing in Australia and their edibility and found none. I contacted Alison to see if her workshops could help and discovered their popularity made them inaccessible for now; but I will persist. 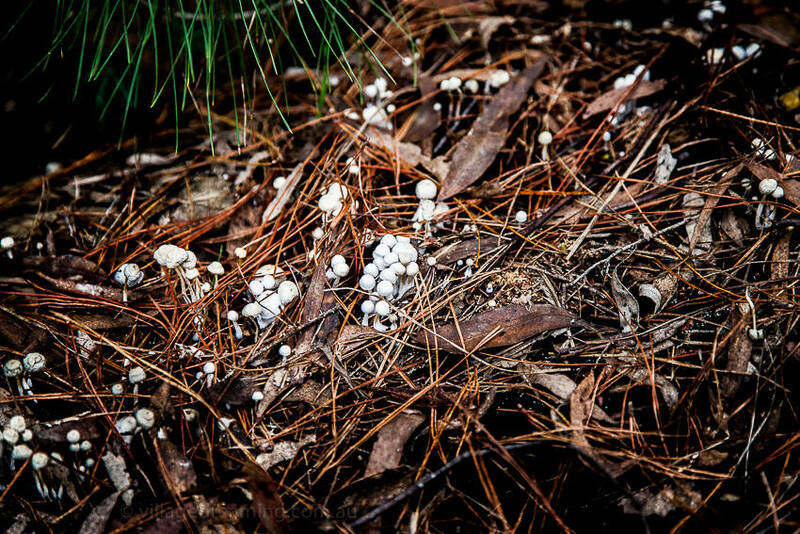 I realised that Alison’s focus was on fungi ecology in terms of conservation and protection and in helping communities understand the truly vital role fungi play in the food web and this too is of great interest to me, so I wondered how I could also access information about edible fungi in Australia. 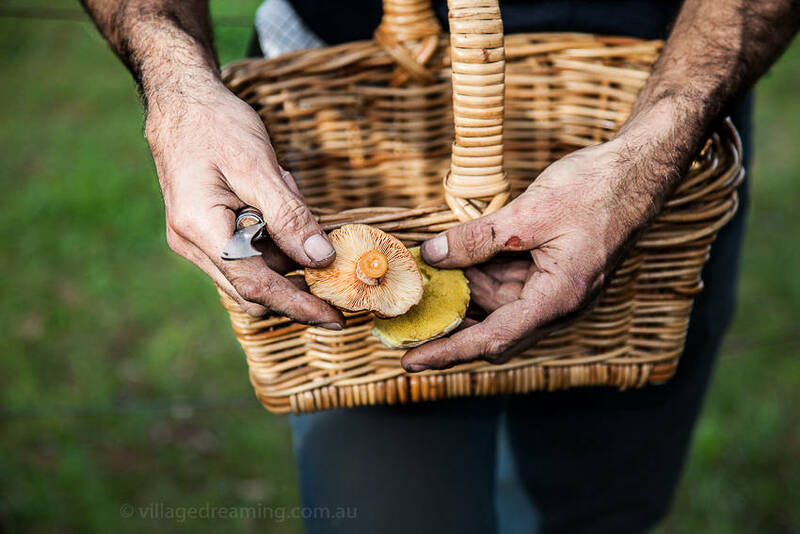 I picked up a copy of Antonio Carluccio’s book ‘A passion for mushrooms’ in the discount bin near Cinema Nova Melbourne, and felt his excitement for mushroom foraging leaping off the page. I wondered again how I could inherit this knowledge. 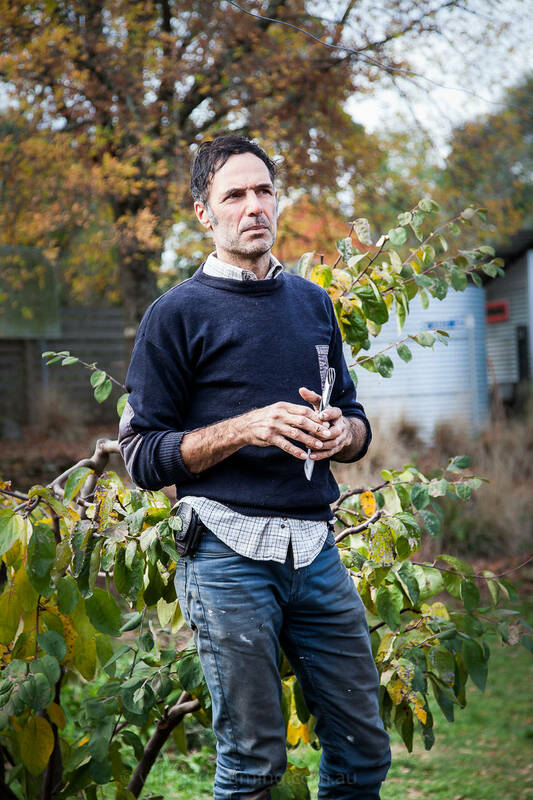 Antonio grew up surrounded by elders foraging for mushrooms and learned his skills incrementally as a child over many years. 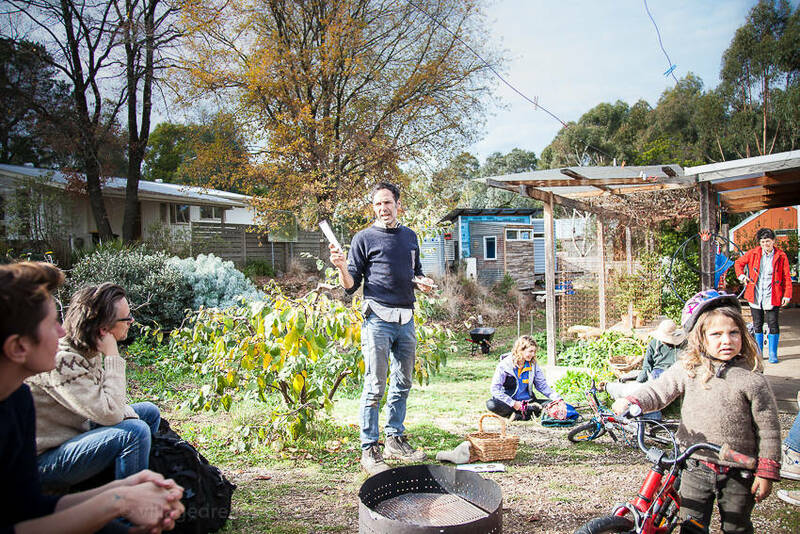 How can in Australia we begin this cycle of learning so that our children can also be introduced to the wonder of foraging? and not only for mushrooms but for a range of plants that grow readily around us. This takes me back to last Friday. 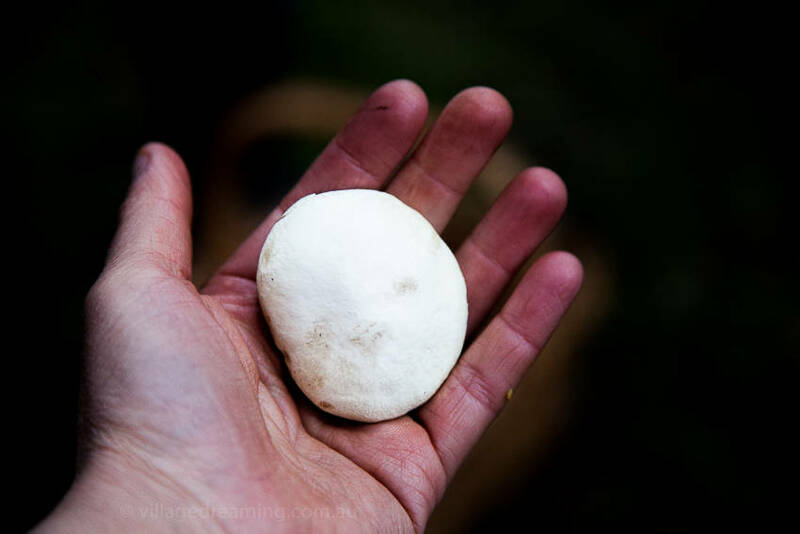 Woody, Patrick and Meg’s son, at just three years of age has learned to recognise edible mushrooms from their non edible companions. By the time he is in his 20’s he will have reached elder status and his knowledge on mushrooms and edible weeds will be sought after by all across the land (no pressure Woody!). This morning I ate Field Blewits, Wood Blewits, Rooting Shanks, a Grey Knight and one Lawyers Wig found by Patrick on our walk. I cooked each species individually and only with oil and butter on high heat. I wanted to taste the difference between them. I was surprised to find they were very similar, with the exception of the Lawyers Wig which had the strongest mushroom flavour. The others were mild, with a firm and pleasant texture and very enjoyable. 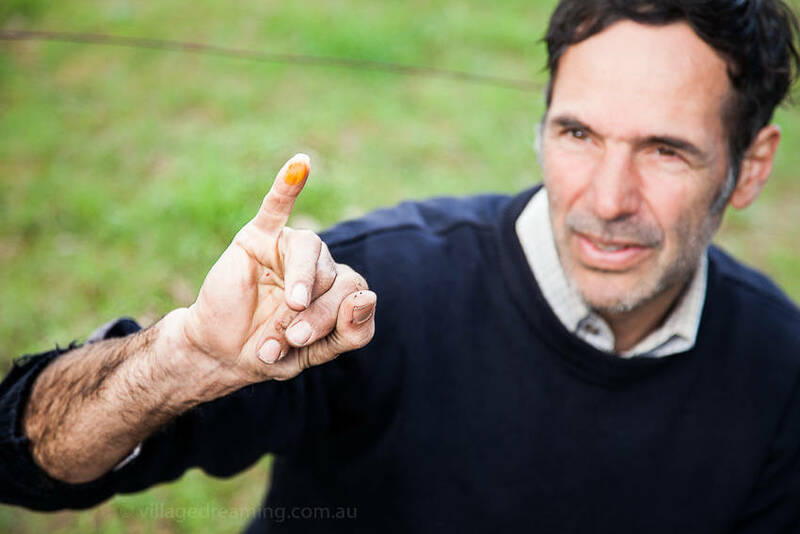 Here in Hepburn, with so many foraging opportunities at hand, I, like Carluccio, am developing a passion for mushrooms and I, like mushrooms, plan to leave a trail of spores for my daughters to follow. 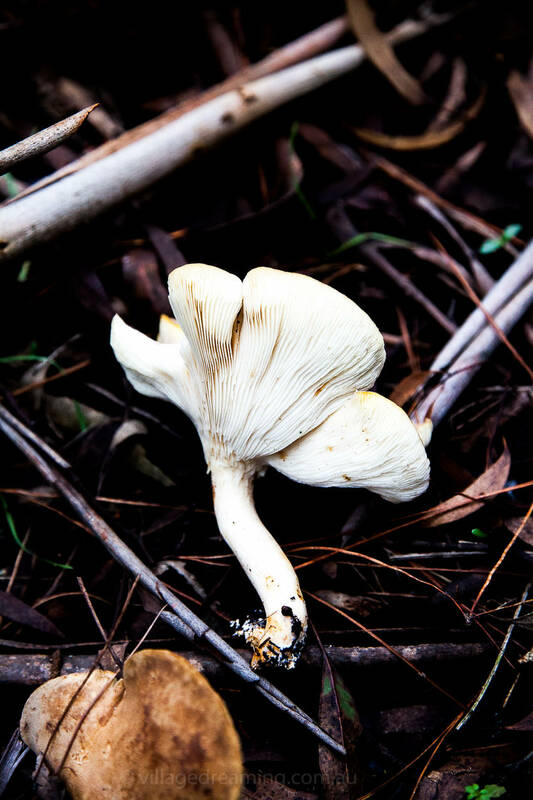 The interest in foraging is growing for both edible mushrooms and plants that grow free from cultivation; weeds. 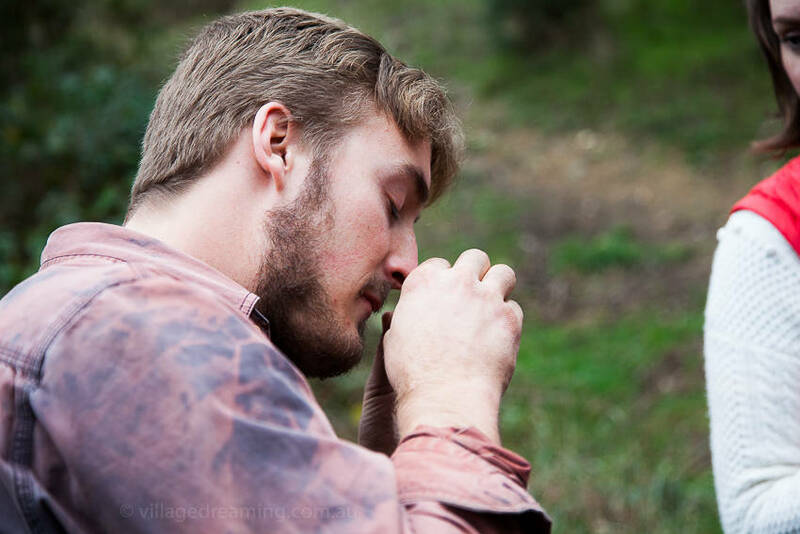 Patrick is or guide and keen to share his knowledge and experiences. 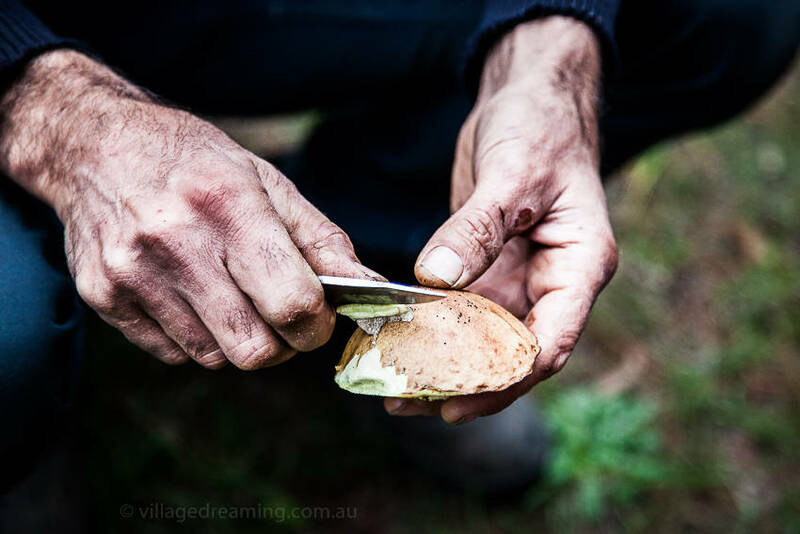 We walk no further than to a neighbours garden to harvest our first mushrooms; Lactarius deliciosus, ‘Saffron Milk Caps’. Lactarius deliciosus, ‘Saffron Milk Caps’, exemplifying the saffron coloured milk discharge at the base of stipe. 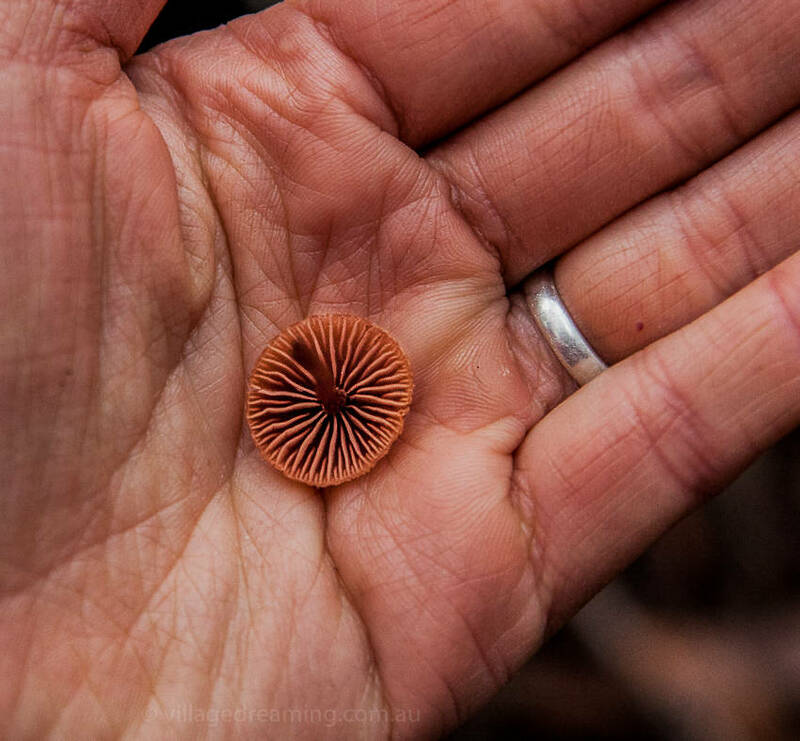 Lactarius deliciosus, ‘Saffron Milk Caps’. 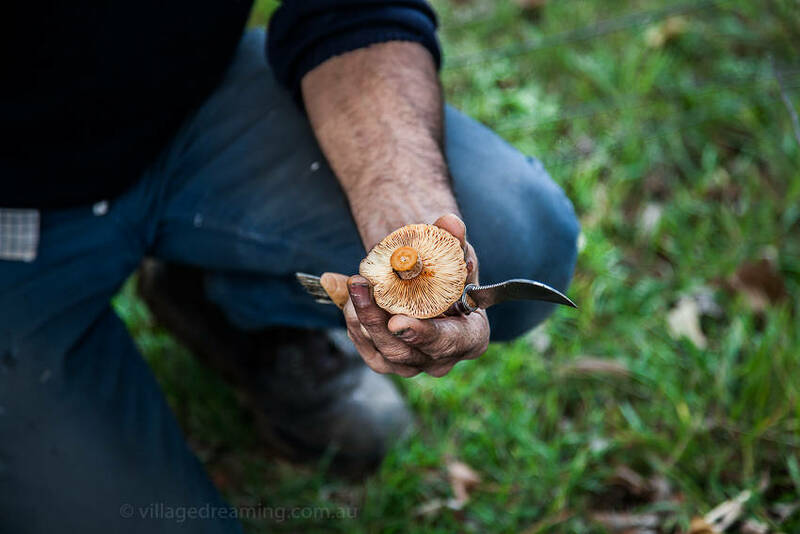 Cleaning stipe using a knife especially designed for mushroom harvesting, for it has a curved blade with a serrated back to remove mushroom cuticles and a boar hair brush for easy removal of soil. Lactarius deliciosus, ‘Saffron Milk Caps’. 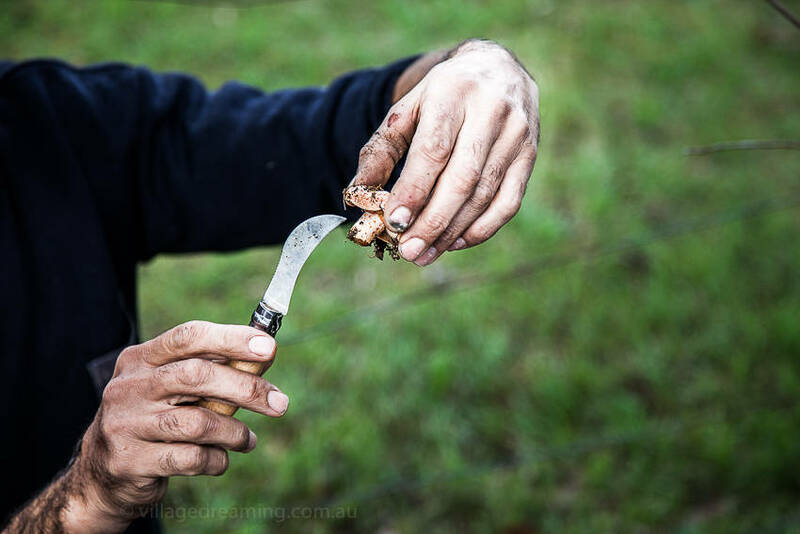 Cleaning the cap. .
Lactarius deliciosus, ‘Saffron Milk Caps’. Cleaned. Lactarius deliciosus, ‘Saffron Milk Caps’ and Suillus luteus, ‘Slippery Jack’ comparison, revealing gills on the Saffron Milk Cap and tubes which terminate and appear as pores on the Slippery Jack. 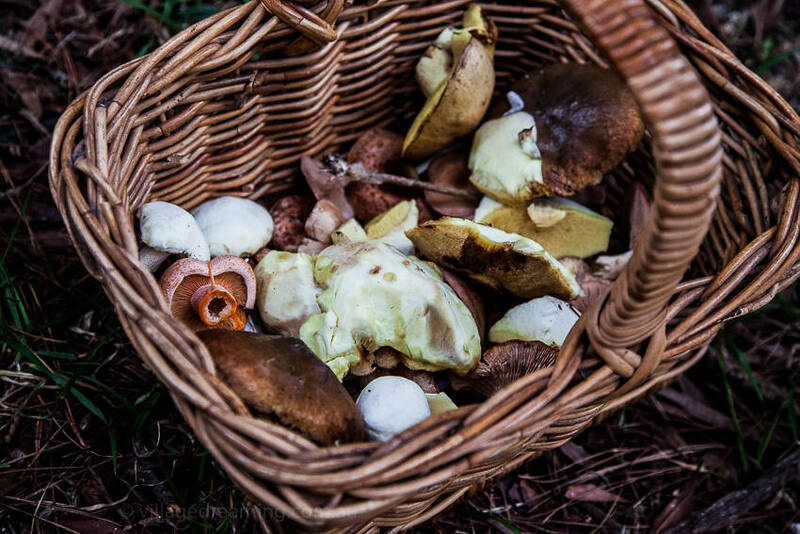 Lactarius deliciosus, ‘Saffron Milk Caps’ and Suillus luteus, ‘Slippery Jack’ at the edge of basket in yellow. 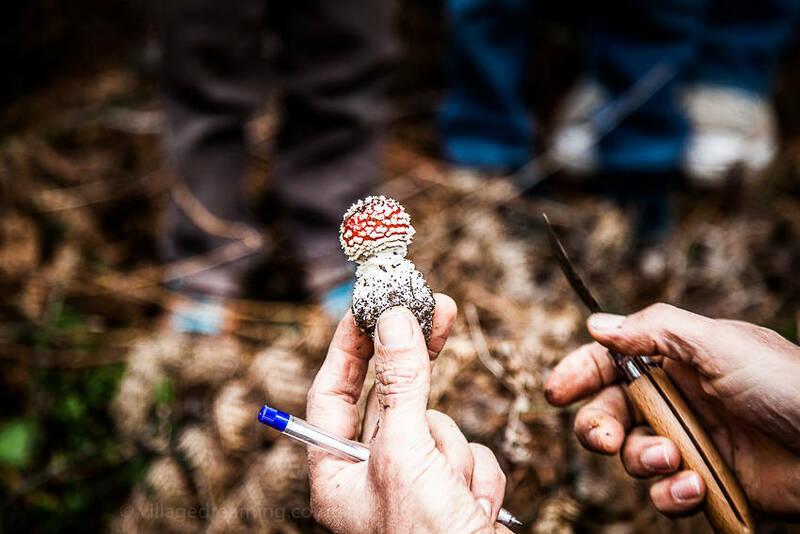 It is a perfect adventure for children, who are keen to help adults find mushrooms, and a wonderful opportunity for them to discover natural treasures. 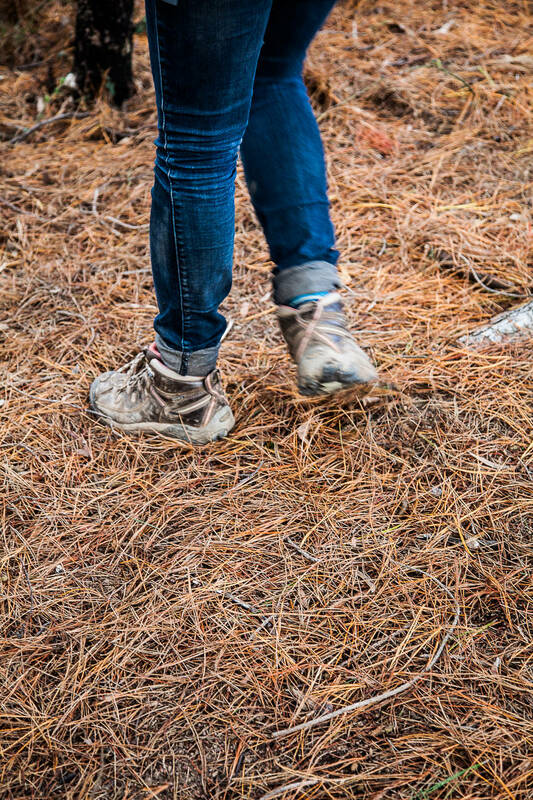 We move along an open grassland to a dark forest of pine needles. 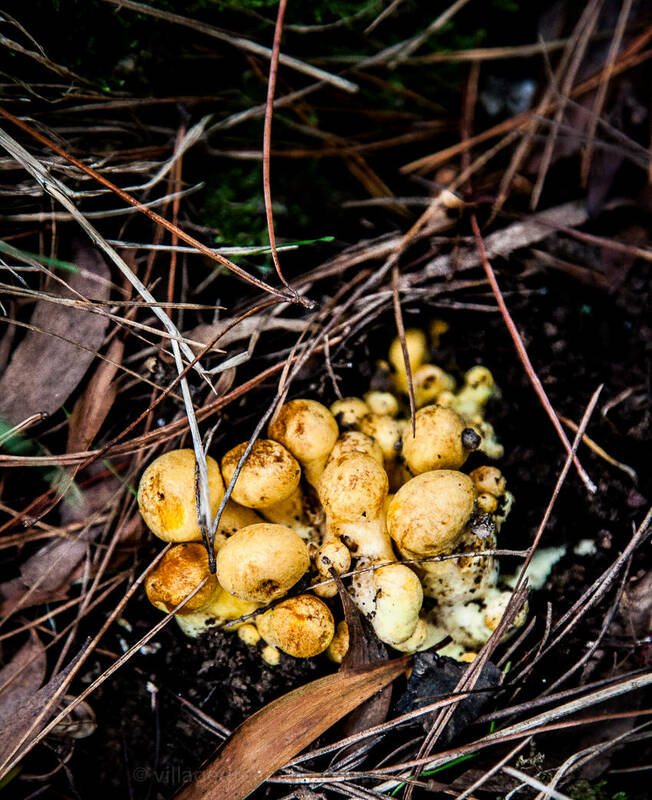 The ground is thick with pine needles and below the cypress canopies mushrooms are found. 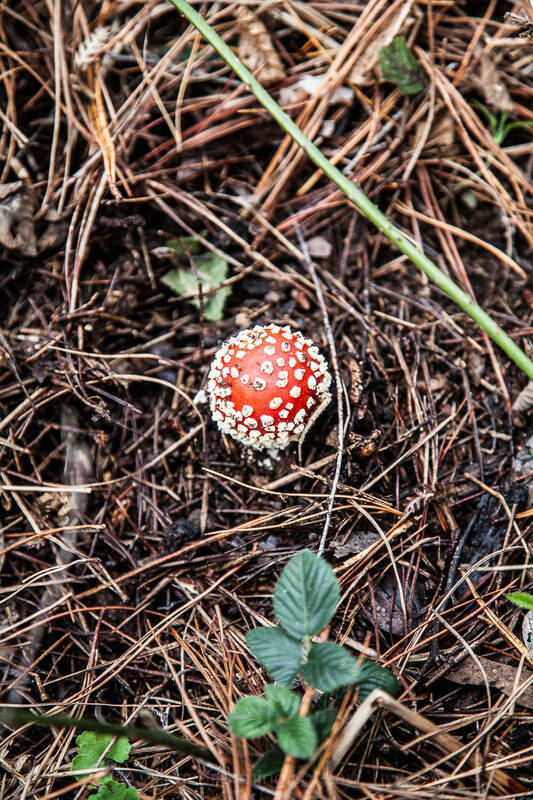 Amanita muscaria, ‘Fly Agaric’ a non edible species. Amanita muscaria, ‘Fly Agaric’ a non edible species with its distinct sack like volva, red cap and warts. Learning to see, to observe, to find, to look, to smell, to touch. 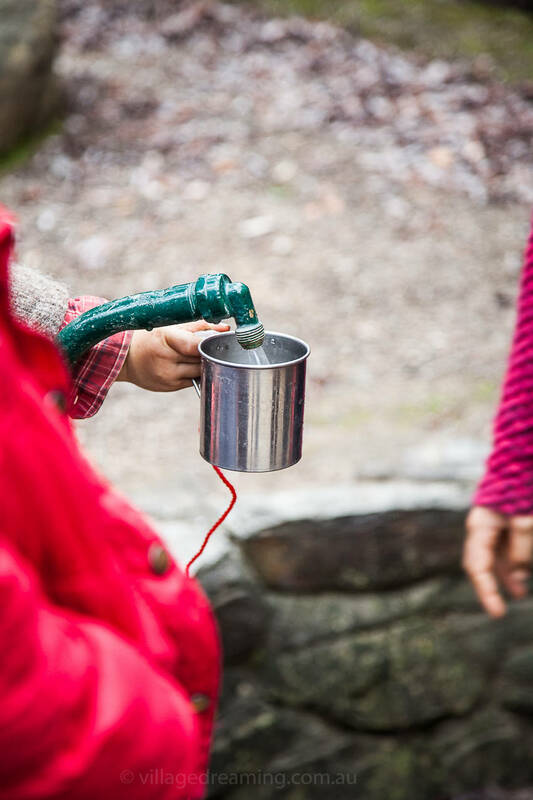 Stopping for a drink at a local spring. The water is fizzy and flavoured with minerals. A local sculpture by the rivers edge. The air is cool, the water clear and our walk a pleasure. 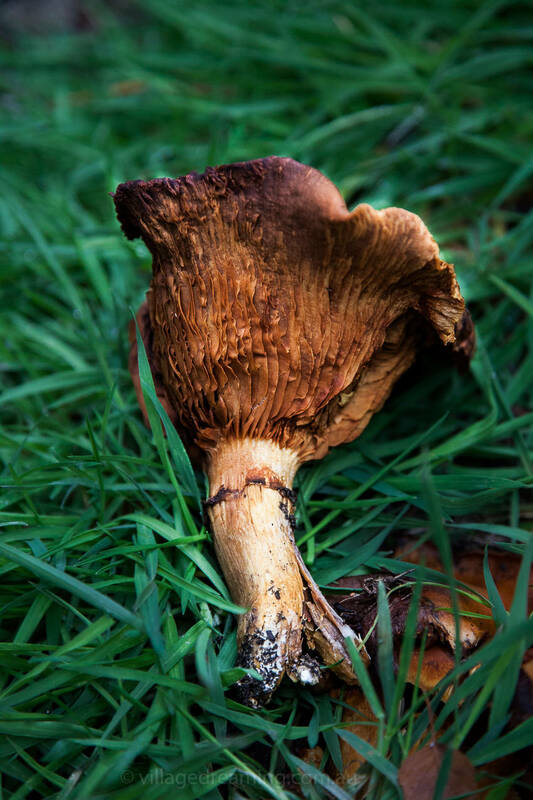 Suillus luteus, ‘Slippery Jack’, edible. Suillus luteus, ‘Slippery Jack’ mature and large. 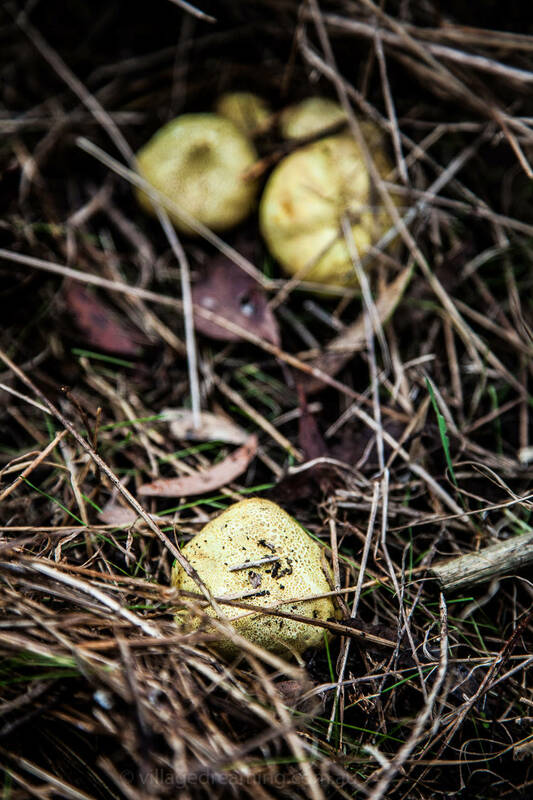 Suillus luteus, ‘Slippery Jack’ with a peeled cap showing white flesh. 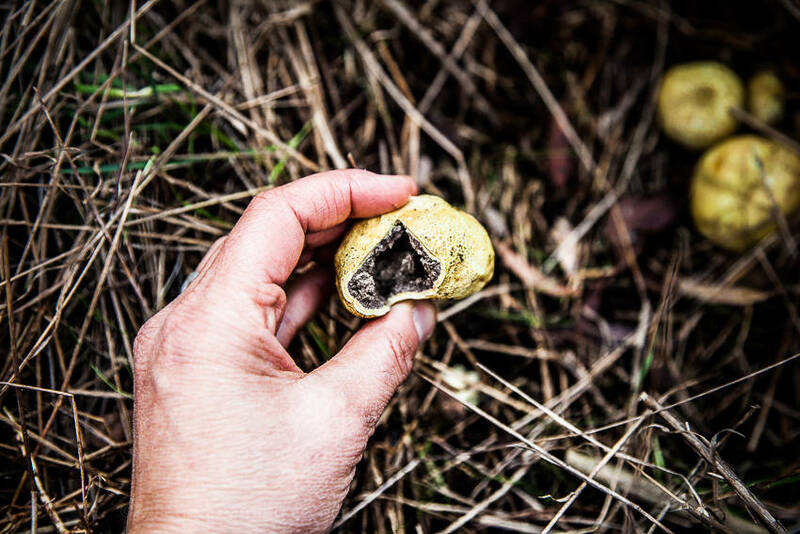 Suillus luteus, ‘Slippery Jack’ small and with peeled cap showing pore structure at base of cap. Austropaxillus infundibuliformis at the end of its life cycle ‘old’. Amanita muscaria ‘Fly Agaric’ an inedible species being compared to the edible Lactarius deliciosus, ‘Saffron Milk Caps’. 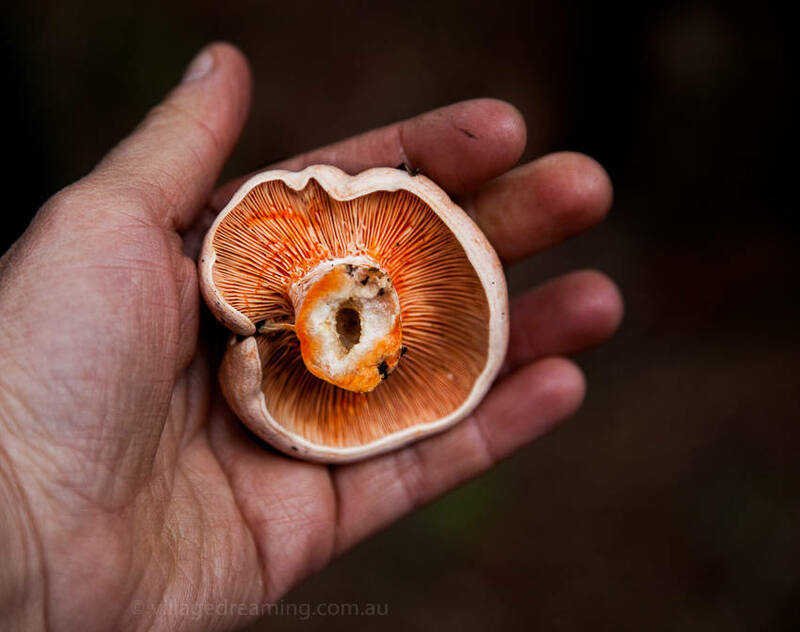 This picture depicts why confusion may happen, as the cap of the inedible Amanita on the bottom left is similar in colour to the edible Lactarius, top right. 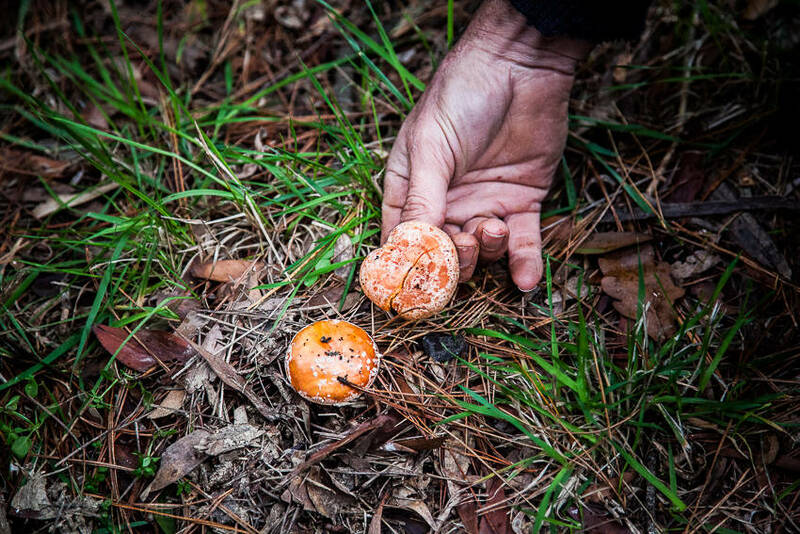 It is important not to forage in poor light, for example at dusk, to avoid picking Amanita’s when you think you’re picking Saffron’s. Perhaps the cook back at home isn’t a forager, doesn’t know the difference between the species, and assumes the forager has made trustworthy choices. Amanita muscaria ‘Fly Agaric’ an inedible species being compared to the edible Lactarius deliciosus, ‘Saffron Milk Caps’. This picture depicts their distinct difference when the fungi are turned upside down to show their stipes and caps. Lactarius deliciosus, ‘Saffron Milk Caps, edible. 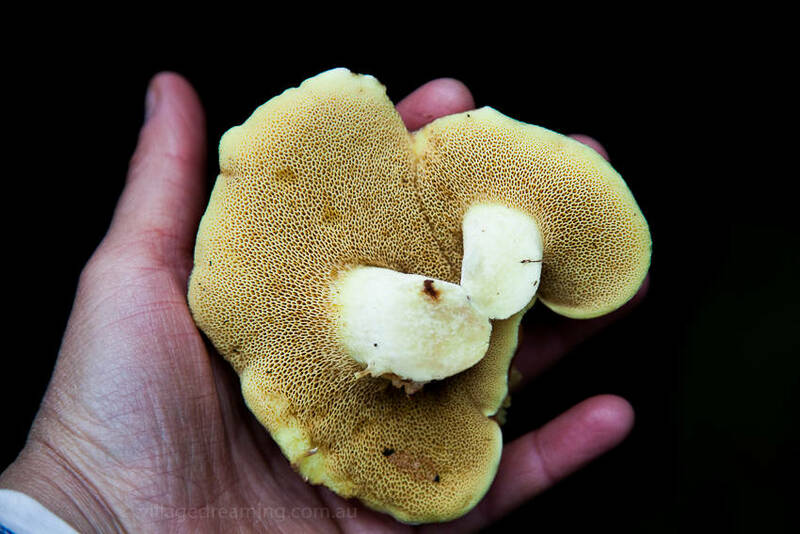 This one is possibly Armillaria luteobubalina ‘Australian Honey Fungus’, we chose not to harvest. Your post is beautifully written, it is clearly a topic that is close to your heart. As both a parent and a secondary school teacher, currently not in schools, I can relate to your concerns with mainstream education. I hope that your rural school has expanded its curriculum to include a wider range of skills, such as you include here. The great thing for your daughter is that she will always have you and your family and friends in her life and I’m sure you have already created a space for her to be a curious human being and that will never go away. 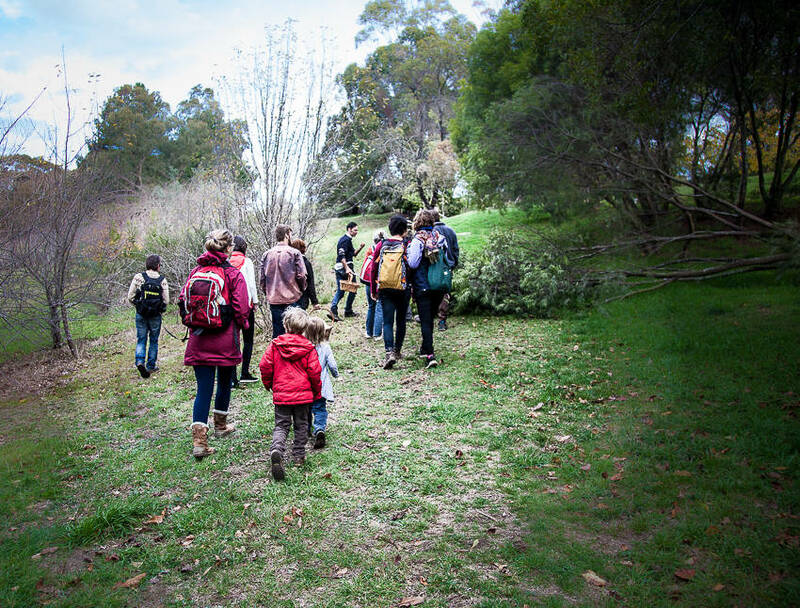 The mushroom walk looked like a marvelous experience. 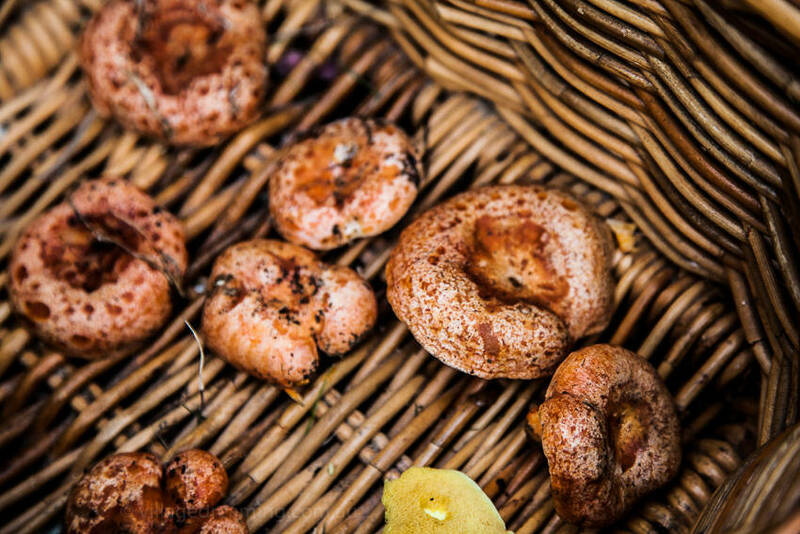 We are lucky to have someone in our family who is good at identifying the edible mushrooms in the strzeleckis. Thanks for sharing. Hello Ruth, you always write such lovely comments. Thank you for your thoughts on Mainstream Ed…yes you are so right about family and friends providing a basis. And you were a teacher! Oh I often think if I were a Prime Minister how I’d raise the pay for teachers what hard, amazing work they do. Do you know that I am still mourning the loss of an experience my daughter had with Steiner Education. For three years she attended the best curriculum I have observed. It might not be the best for all, but I thought it was truly wonderful and I felt so very contented. Hello lovey!! Wow you are getting in there and out there! What an amazing community around you. Hard to believe our girls are going to high school…goodness me! Time for us to visit – this holidays? Martino and I have found some land we LOVE! Will call and tell all. Oh so lovely to hear from you always…yes please come and visit…and land, oh my oh my what a happy girl am I…for you! A beautiful post, thank you! 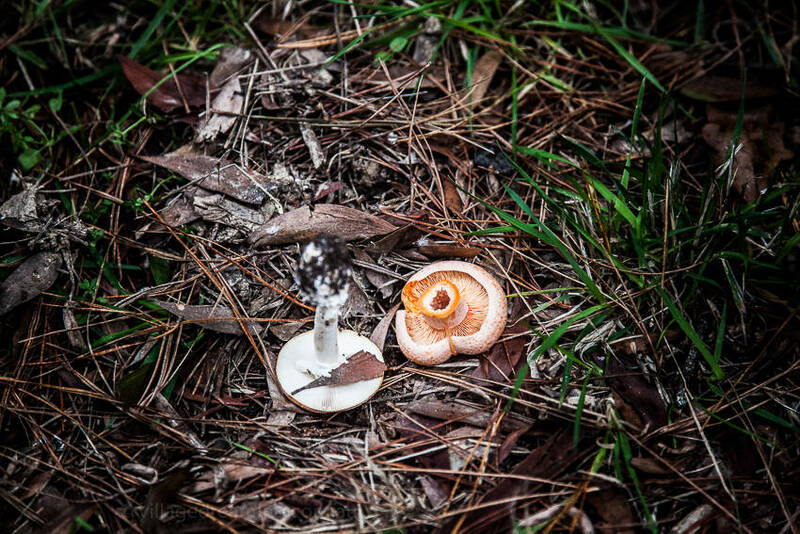 We had our own mushrooming adventure yesterday st Creswick. 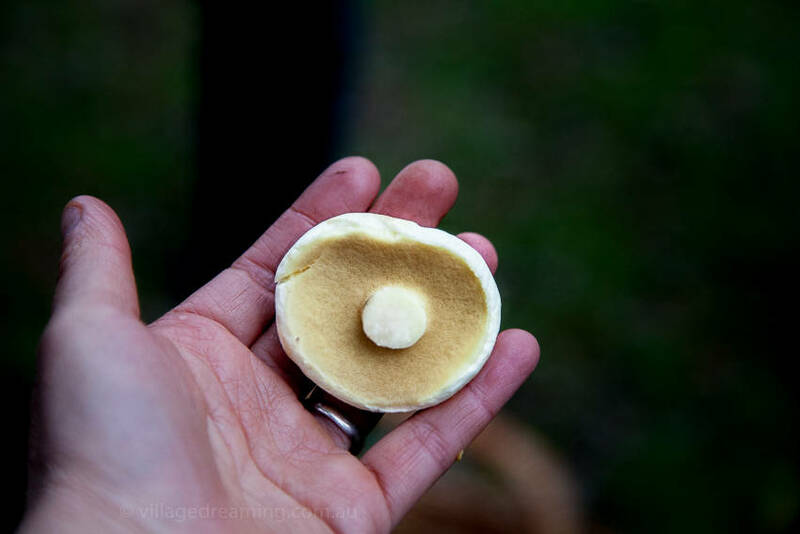 I love that even though we saw nobody else on the trail, we were part of a community of local foragers with a local foodscape in common.